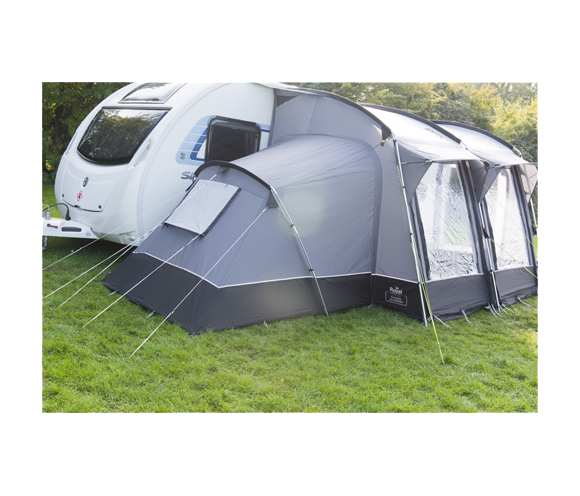 The Paxford 260 Awning is perfect for your caravan trip, with its steel pole construction ensuring its resilience and ability to withstand adverse weather conditions. It includes colour coded poles and reflective guy ropes and tie down straps within the purchase for an easy set up. 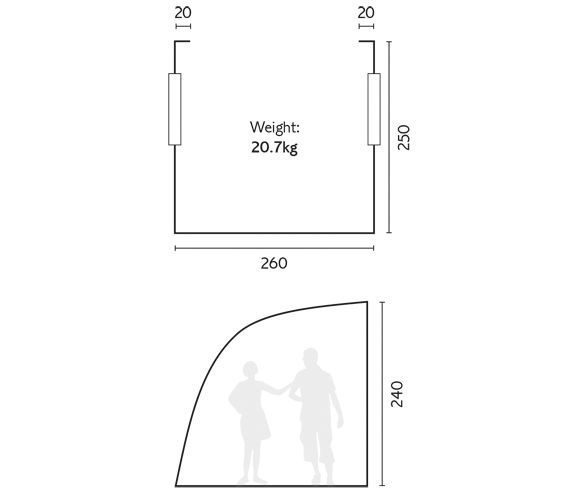 With a smaller packed size and a manageable weight of 20.7kg, it is also easily transported. 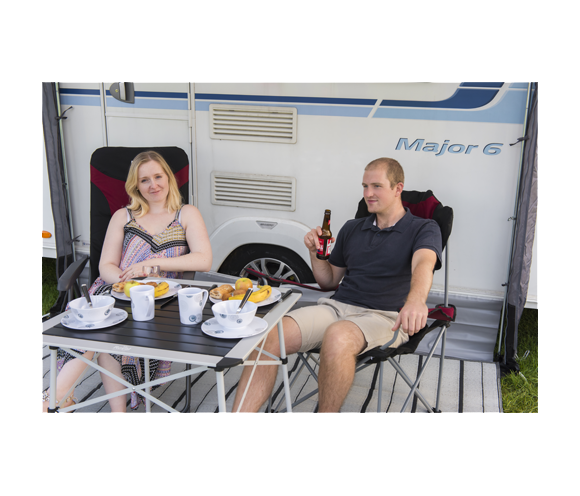 Made from flame retardant 150D polyester Oxford material, this awning is protected from wear. The material is also waterproof with a 4000mm hydrostatic head. 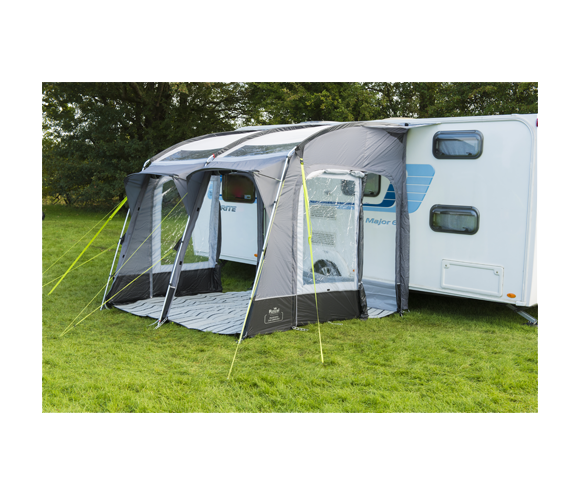 To provide optimum light, the awning has large zip out front windows, 2 roll up front panels and 2 roof windows with cover. 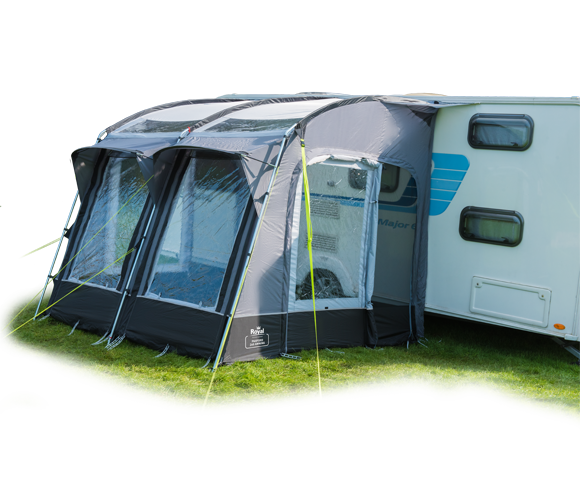 To give a fresher feel, the 2 side doors have mesh ventilation to improve the air flow and reduce condensation.